Per Marc Carig of Newsday, Mets pitcher Seth Lugo has a slight UCL tear in his pitching elbow. As of now, no surgery is needed. He will receive a PRP injection and rest has been recommended. 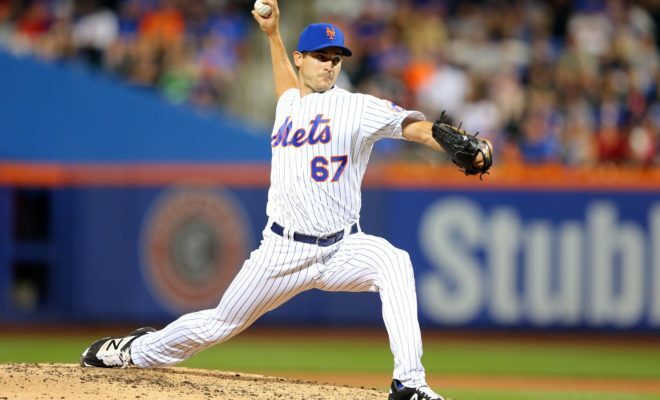 Per team source, Seth Lugo has a slight UCL tear in elbow. No surgery needed. Received PRP injection and he will rest. This is obviously a big blow for a guy who was supposed to be the first man up if the Mets sustain an injury. He is likely to be out a substantial amount of time, and the Mets may be in the market for some starting pitching depth, especially if Steven Matz can’t get himself healthy. I am not a World Baseball Classic conspiracy theorist, but he was used heavily. In Spring, guys are eased in, but they all want to win the World Baseball Classic for their country. The Mets will just have to do what they did last year…overcome some adversity. Hopefully, Lugo will be back sooner than later.